This article is about the demographic features of the population of Mali, including population density, ethnicity, education level, health of the populace, economic status, religious affiliations and other aspects of the population. The military of the Republic of Mali consists of the Army, Republic of Mali Air Force, and National Guard. They number some 7,000 and are under the control of the Minister of Armed Forces and Veterans. The Library of Congress as of January 2005 stated that "[t]he military is underpaid, poorly equipped, and in need of rationalization. Its organisation has suffered from the incorporation of Tuareg irregular forces into the regular military following a 1992 agreement between the government and Tuareg rebel forces." 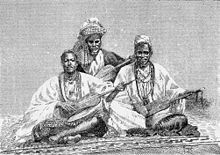 The Music of Mali is, like that of most African nations, ethnically diverse, but one influence predominates; that of the ancient Mali Empire of the Mandinka. Mande people make up 50% of the country's population, other ethnic groups include the Fula (17%), Gur-speakers 12%, Songhai people (6%), Tuareg and Moors (10%) and another 5%, including Europeans. 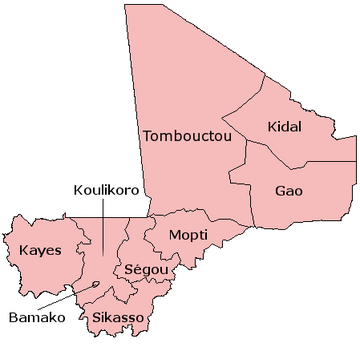 Mali is divided into eight regions; Gao, Kayes, Koulikoro, Mopti, Ségou, Sikasso, Tombouctou and Bamako. Alpha Oumar Konaré is a former President of Mali for two five-year terms, and was Chairperson of the African Union Commission from 2003 to 2008. 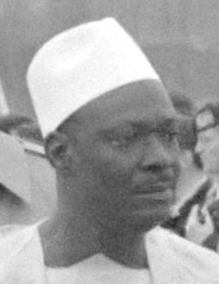 Modibo Keïta was the first President of Mali (1960–1968) and the Prime Minister of the Mali Federation. He espoused a form of African socialism. 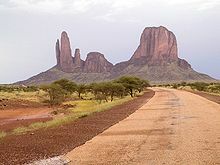 Azawad is the name given to northern Mali by Berber Touareg rebels, as well as a former short-lived unrecognised state. Its independence was declared unilaterally by the National Movement for the Liberation of Azawad (MNLA) in 2012, after a Tuareg rebellion drove the Malian Army from the region. 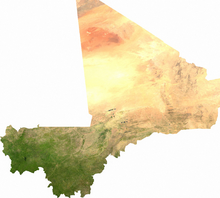 It rejoined Mali in February 2013, after less than a year of unrecognized independence. From 1990 to 1995, a rebellion by various Tuareg groups took place in Niger and Mali, with the aim of achieving autonomy or forming their own nation-state. The insurgency occurred in a period following the regional famine of the 1980s and subsequent refugee crisis, and a time of generalised political repression and crisis in both nations. 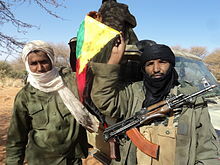 The conflict is one in a series of Tuareg-based insurgencies in the colonial and post-colonial history of these nations. In Niger, it is also referred to as the Second or Third Tuareg Rebellion, a reference to the pre-independence rebellions of Ag Mohammed Wau Teguidda Kaocen of the Aïr Mountains in 1914 and the rising of Firhoun of Ikazkazan in 1911, who reappeared in Mali in 1916. In fact the nomadic Tuareg confederations have come into sporadic conflict with the sedentary communities of the region ever since they migrated from the Maghreb between the 7th and 14th centuries CE. Some Tuareg wished for an independent Tuareg Nation to be formed when French Colonialism ended. This combined with dissatisfaction over the new governments led some Tuareg in Northern Mali to rebel in 1963. Moussa Traoré is a Malian soldier and politician who was President of Mali from 1968 to 1991. As a Lieutenant, he led the military ousting of President Modibo Keïta in 1968. Thereafter he served as head of state until March 1991, when he was overthrown by popular protests and a military coup. He was twice condemned to death in the 1990s, but eventually pardoned on both occasions and freed in 2002. He has since retired from political life. 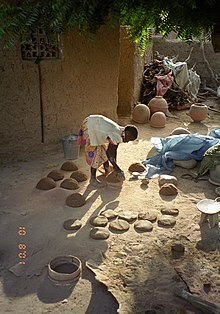 The culture of Mali derives from the shared experience, as a colonial and post-colonial polity, and the interaction of the numerous cultures which make up the Malian people. What is today the nation of Mali was united first in the medieval period as the Mali Empire. 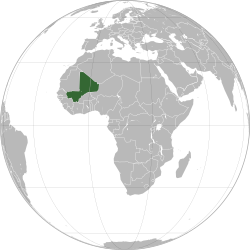 While the current state does not include areas in the southwest, and is expanded far to the east and northeast, the dominant roles of the Mandé peoples is shared by the modern Mali, and the empire from which it took its name. 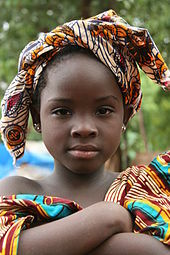 The status and social roles of women in Mali have been formed by the complex interplay of a variety of traditions in ethnic communities, the rise and fall of the great Sahelien states, French colonial rule, independence, urbanisation, and postcolonial conflict and progress. Forming just less than half Mali's population, Malian women have sometimes been the center of matrilineal societies, but have always been crucial to the economic and social structure of this largely rural, agricultural society. 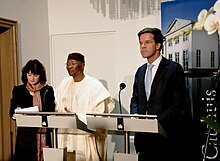 Presidential elections were held in Mali on 28 July 2013, with a second round run-off held on 11 August. Ibrahim Boubacar Keïta defeated Soumaïla Cissé in the run-off to become the new President of Mali. The Tuareg Rebellion of 2012 was an early stage of the Northern Mali conflict; from January to April 2012, a war was waged against the Malian government by rebels with the goal of attaining independence for the northern region of Mali, known as Azawad. It was led by the National Movement for the Liberation of Azawad (MNLA) and was part of a series of insurgencies by traditionally nomadic Tuaregs which date back at least to 1916. The MNLA was formed by former insurgents and a significant number of heavily armed Tuaregs who fought in the Libyan Civil War. 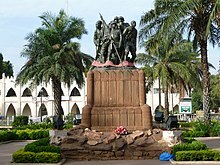 The 2012 Malian coup d'état began on 21 March that year, when mutinying Malian soldiers, displeased with the management of the Tuareg rebellion, attacked several locations in the capital Bamako, including the presidential palace, state television, and military barracks. The soldiers, who said they had formed the National Committee for the Restoration of Democracy and State, declared the following day that they had overthrown the government of Amadou Toumani Touré, forcing him into hiding. The coup was followed by "unanimous" international condemnation, harsh sanctions by Mali's neighbors, and the swift loss of northern Mali to Tuareg forces, leading Reuters to describe the coup as "a spectacular own-goal". On 6 April, the junta agreed with Economic Community of West African States (ECOWAS) negotiators that they would step down from power in return for the end of sanctions, giving power to a transitional government led by parliament speaker Dioncounda Traoré. In the following days, both Touré and coup leader Amadou Sanogo formally resigned; however, as of 16 May, the junta was still "widely thought to have maintained overall control". On 3 December 2013, a mass grave was discovered in Diago holding the remains of 21 soldiers that went missing the year before, loyal to the ousted president. Khaira Arby, known as The Nightingale of Timbuktu, was a Malian singer.